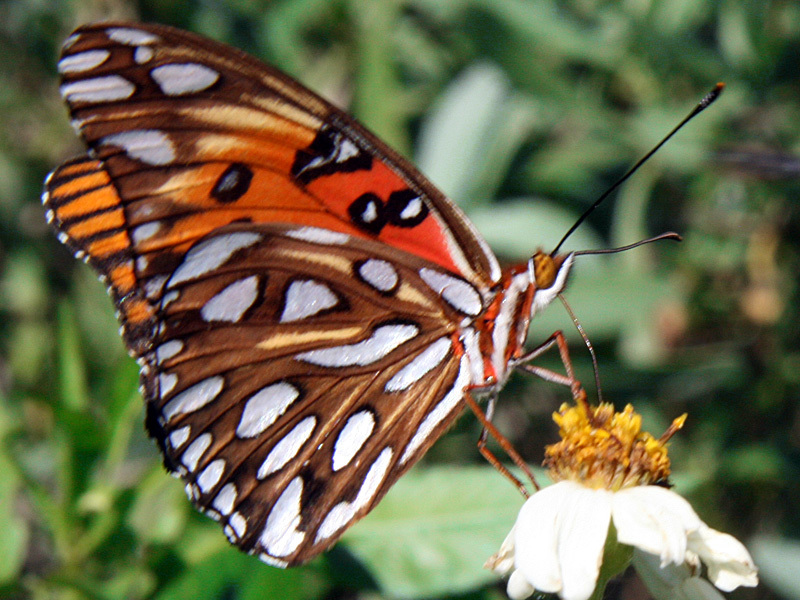 Gulf fritillary butterflies — along with zebra longings and julias — use native passionflower vines as their larval food and are frequently seen at the Oslo Riverfront Conservation Area. 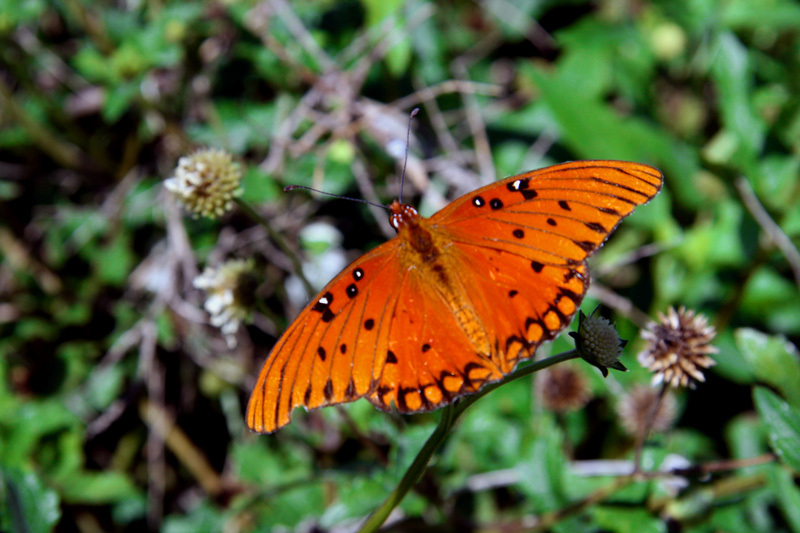 Gulf fritillary butterflies, like julias, are orange but are distinguished by circular white markings encased in black on the tops of their wings. 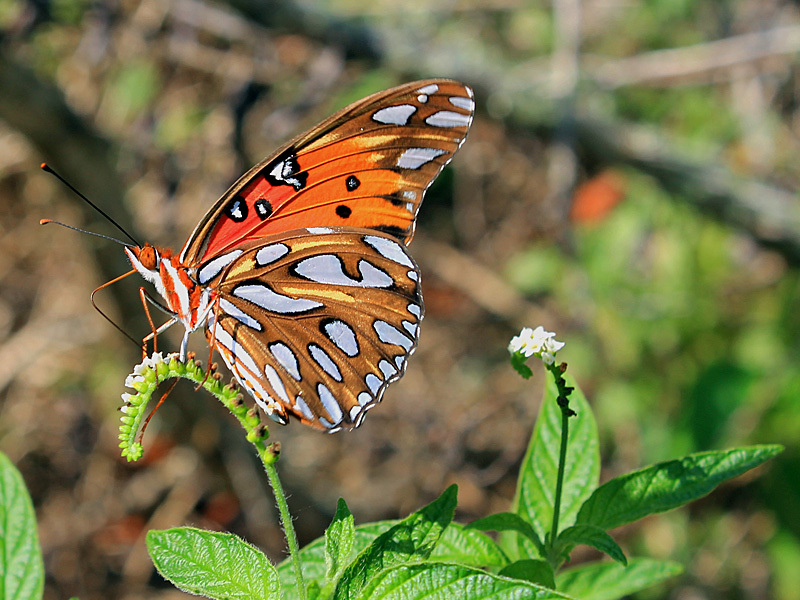 Their distinctively marked undersides are seen in this photo taken by Karen Schuster of a gulf fritillary nectaring upon the tiny white flowers of scorpiontail (Heliotropium curassavicum) at the Brevard Barrier Island Sanctuary and Education Center. Common beggarticks (Bidens alba) is another favored nectar source of gulf fritillary and many other butterfly species. 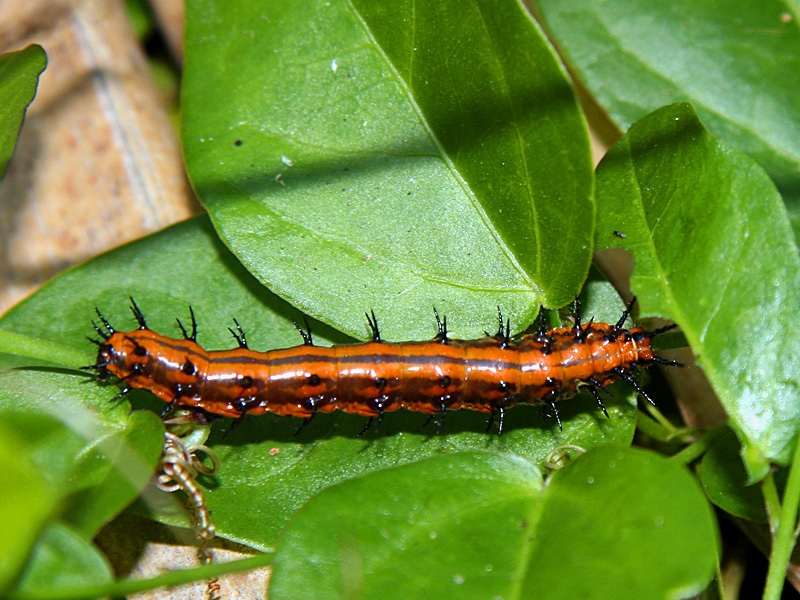 Gulf fritillary larva (caterpillars) are orange as seen below on corky-stemmed passionflower vine (Passiflora suberosa).